There is going to be a lot of ukulele playing in Southern California this weekend! 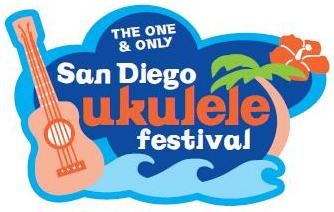 Today the San Diego Ukulele Festival kicks off at Liberty Station (just west of the airport). Jake Shimabukuro and James Hill are the headliners. I’ll be presenting two workshops on Saturday, July 16. At 10am I’ll teach Beginning Finger-picking and at 12:45pm I’ll teach The Magical 3 Chord Form. 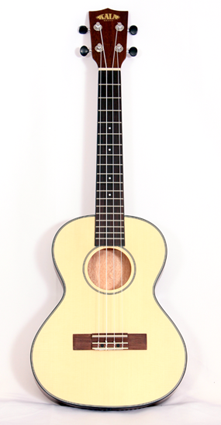 Then, it’s off to Orange County, California for a Play Ukulele By Ear workshop at Jim’s Music Center in Tustin. 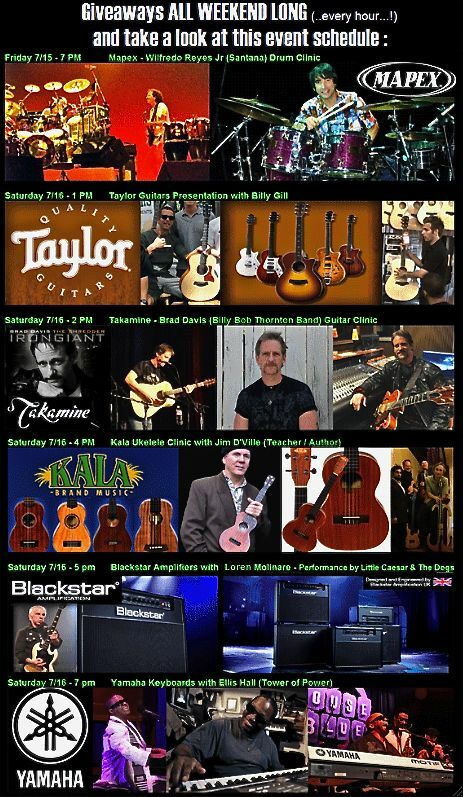 It’s Jim’s 44th Anniversary event and I’ll be there on behalf of Kala Ukuleles. The workshop begins at 4pm, after which we’ll be giving away a beautiful Kala KASSTU TE, a tenor size travel, solid spruce top, with preamp and EQ as well. A $330 retail value! 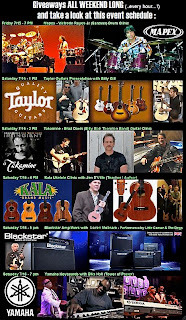 I hope to meet a ton of new ukulele friends this weekend in the southland, hopefully you!